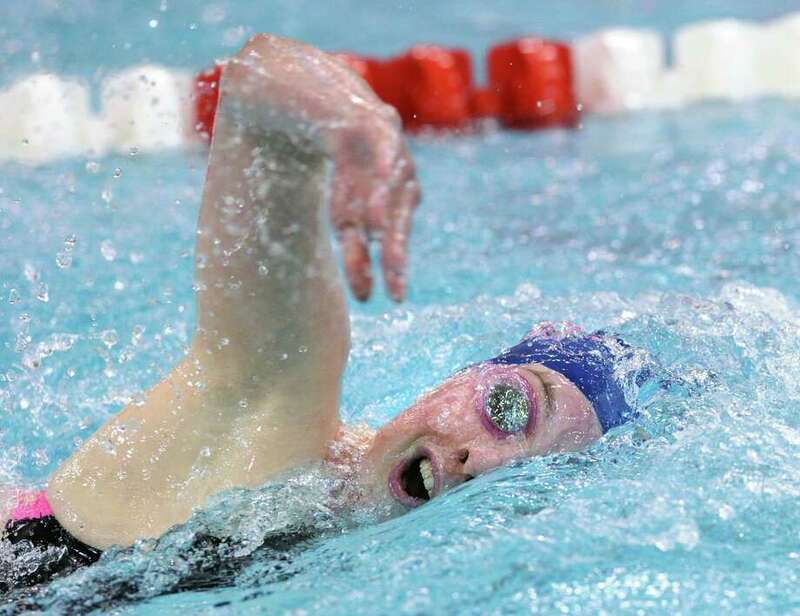 Mia Bullock won two events to help lead the Staples girls swimming team to a second-place finish at the Class LL championships Wednesday at Wesleyan. Bullock won the 200 IM (2:05.28) and the 100 butterfly (55.18) and was also a member of the 200 medley relay that was third (1:51.43) and the 400 freestyle relay that was second (3:37.37) as the Wreckers finished with 537 points. Greenwich won its fifth straight title with 891 points. Wreckers junior Aileen Coyne (1:55.52) placed second in the 200 freestyle, less than a second behind Greenwich freshman Sophia Jahan (1:54.60). Teammate Mackenzie Healy (24.66) placed fourth in the 50 yard freestyle, while Mira Patel (5:19.57) placed seventh in the 500 freestyle. The 200 freestyle relay team (1:40.00) finished third. Freshman Willow Woods (1:09.60) came home sixth in the 100 breaststroke. Up next for the Wreckers is the final meet of the season on Saturday. The State Open will feature the best swimmers from each class. The meet is schedule to begin at 7 p.m. at Yale University's Kiphuth Pool. Bullock won a pair of events last year to help Staples place sixth as a team.